SAN JOSE, COSTA RICA – From March 4 – 6, 2014, AIPR Executive Director Tibi Galis, Director for Latin America Eugenia Carbone, Latin America Program Coordinator Christopher Kousouros, and Associate Stephanie Alvarez attended the first international Global Action Against Mass Atrocity Crimes (GAAMAC) meeting. GAAMAC is a state-led initiative to prevent mass atrocity crimes, specifically focused on prevention at the national and regional levels. GAAMAC supports states engaged in preventing mass atrocity crimes, assists states that are considering developing preventive strategies, and serves as a platform for exchange and dissemination of learning and best practices. The inaugural address was delivered by UN Special Adviser on the Prevention of Genocide Adama Dieng and the meeting was organized by Mo Bleeker, Head of the Task Force Dealing with the Past and Prevention of Atrocities, Federal Department of Foreign Affairs, Switzerland, and Saul Weisleder, Deputy Permanent Representative, Permanent Mission of Costa Rica to the United Nations in New York. Dozens of civil society organizations and representatives of the international community attended the three-day convening, which featured an array of workshops and plenary discussions with global leaders in the mass atrocity prevention community. Tibi Galis participated in the discussion, “Towards a Community of Commitment and Practice,” moderated by Jeremy Condor, an organizational development specialist. Other panelists included Naomi Kikoler, Director of Policy and Advocacy at the Global Centre for the Responsibility to Protect, Noel Morada, Director of Regional Diplomacy and Capacity Building at the Asia-Pacific Centre for the Responsibility to Protect, and Stanley Foundation President Keith Porter, among others. AIPR is offering GAAMAC its assistance in capacity building, capacity development, and is very interested in seeing where the community is going. 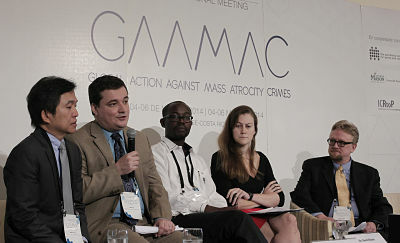 We do hope that within five years, all states that are members are participating within the platform that we hope GAAMAC will become, will have coherent nationally developed strategies for mass atrocity prevention that take into account the already-achieved successes, and are very candid about domestic needs, and domestic room for development. 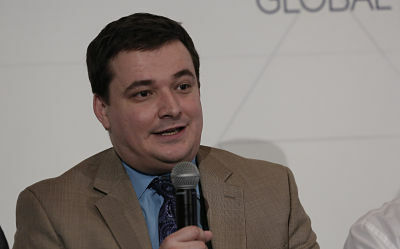 For a video of the GAAMAC panel featuring Tibi Galis, “Towards a Community of Commitment and Practice,” click here. 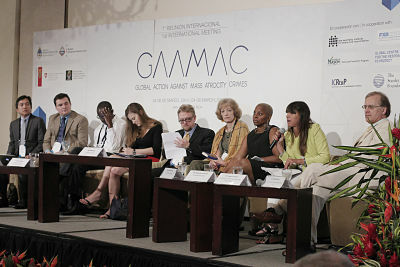 For more information about GAAMAC, visit www.gaamac.org.